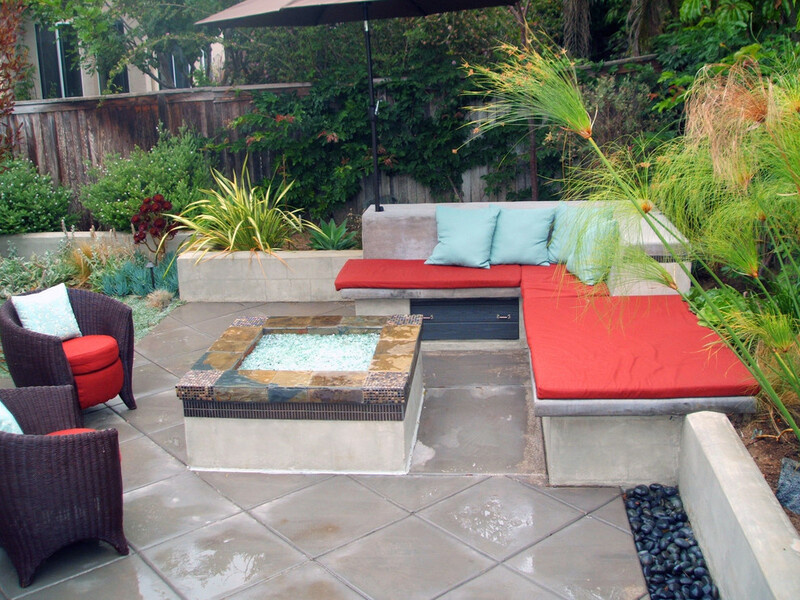 This small back yard design features a built in concrete bench with accent cushions and chairs around a custom natural gas fire pit. Walls have a smooth stucco finish with tile accent inlays and slate caps. 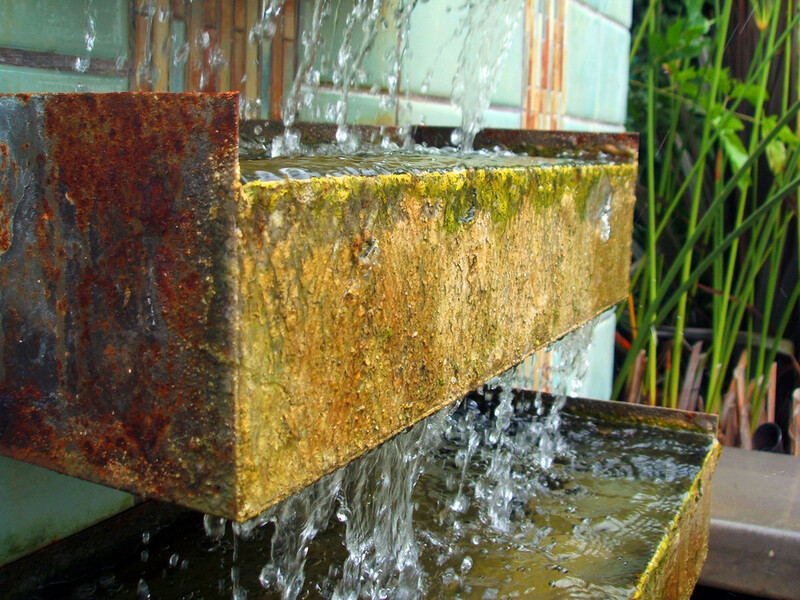 Ground plane is poured concrete with trawled joints every 24″. Buffer between concrete and walls for visual aesthetic using Mexican Beach Pebbles. 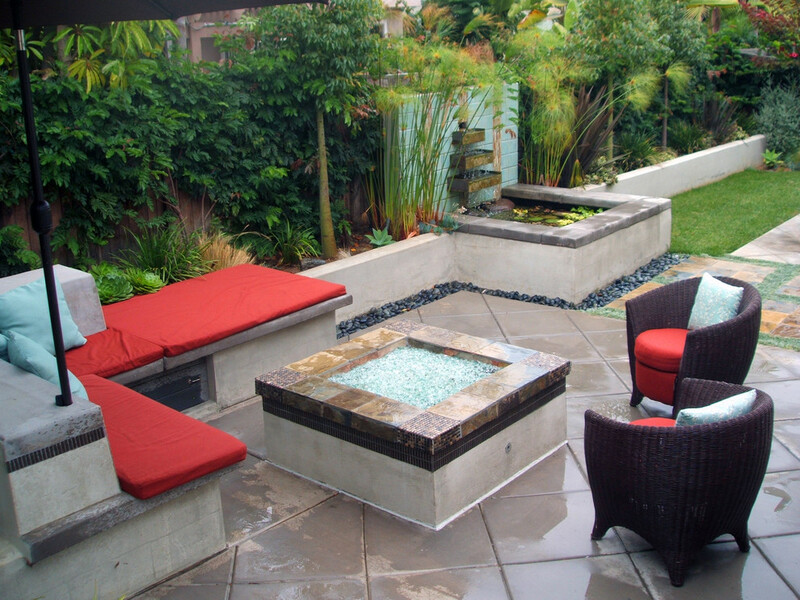 A central water wall feature separates the seating area from the garden space. 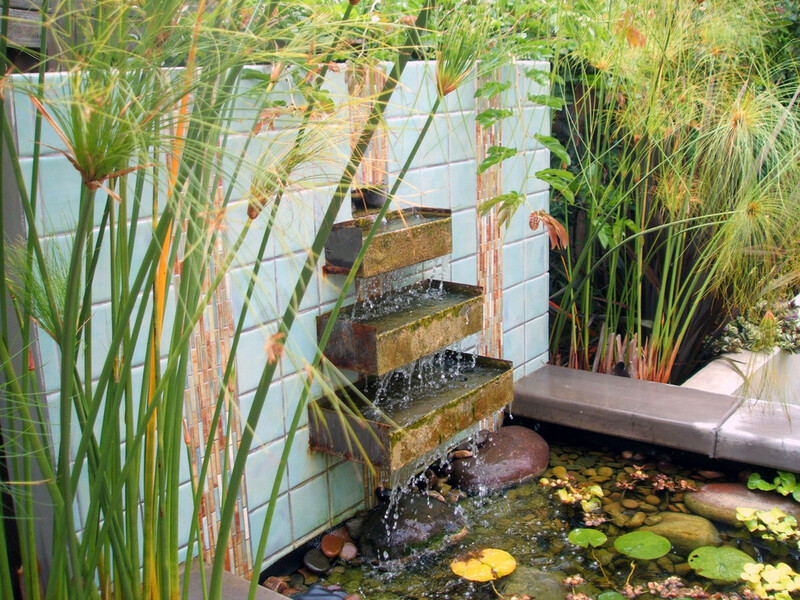 Ann Sacks tile with custom formed steel troughs spill water into a basin with water lilies and Papyrus flanking the feature. 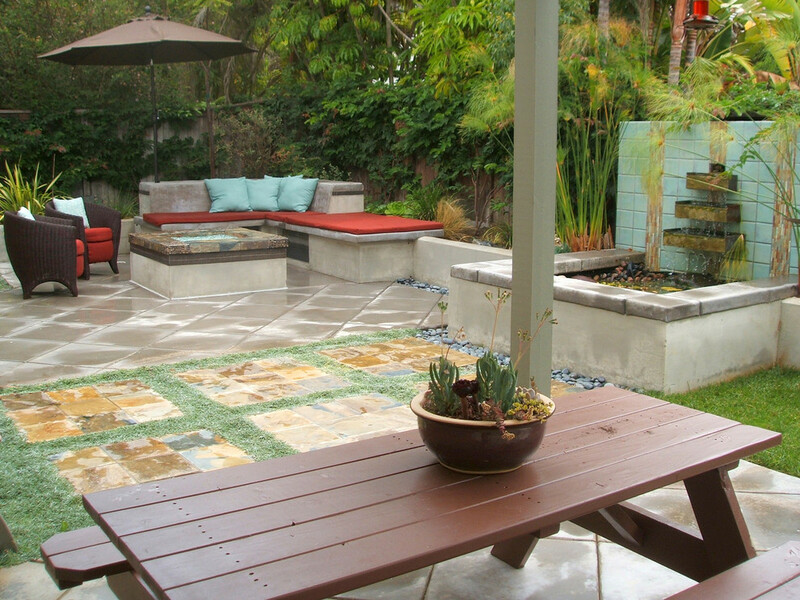 Other plants include Phormium (Flax), Lamb’s Ear, Aeonium, Senecio, Echeveria, Dymondia (Silver Carpet) between pavers, and other succulents, Brachychiton (Bottle Tree) as the screening element along the walls, Pink Powder Puff vine to green up the fence, Feather Grass, Westringia (Coast Rosemary), and sever other drought tolerant plants.